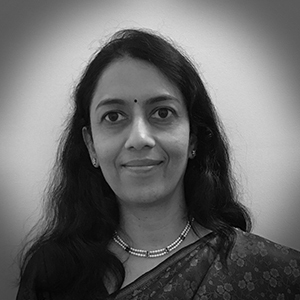 Ms. Vani Rao is a career diplomat in the Indian Foreign Service, in which she has served since 1994. She assumed charge as Ambassador of India to Finland on 25 July 2017. Previously, Ms. Rao was Joint Secretary (Overseas Indian Affairs), spearheading programmes and initiatives for engagement with the Indian Diaspora. This was contiguous with her earlier position as Joint Secretary (Ministry of Overseas Indian Affairs) which was merged into the Ministry of External Affairs. In parallel, from January 2015 to July 2017, she was also CEO of India Development Foundation of Overseas Indians (IDF-OI) facilitating philanthropy by the Indian Diaspora for flagship programmes and social & development projects in India. Prior to handling Overseas Indian Affairs at Headquaters, Ms. Rao served from 2011 to 2014 as Deputy Chief of Mission and Head of the Commercial Wing in the Embassy of India, Israel. Other postings held include Director (Americas Division); First Secretary in the Embassy of India, Sweden; Under Secretary (Europe West). Her first posting was to the Embassy of India, Mexico City. Ms. Rao has a M.A. in Political Science from the University of Hyderabad, India, and an M.S. in Environmental Studies from the San Jose State University in California, USA. She speaks Telugu, Hindi, English and Spanish.